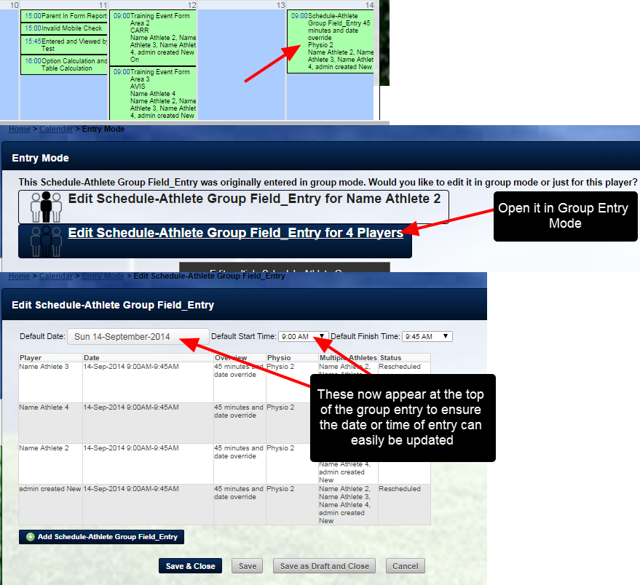 If a user has access to delete the Event Form, this will appear in group entry mode when the group entry is reopened. Previously these were not available during group entry editing, they were only available when entering in the original group entry. There was no easy way for a user with delete access to an Event Form to delete an incorrect group entry; it had to be done one entry at a time. This can now be done by opening the group entry and clicking on the delete all button. N.B. If a user has delete access to an event form, this means they would see the Delete button when they open it in single entry mode as well.